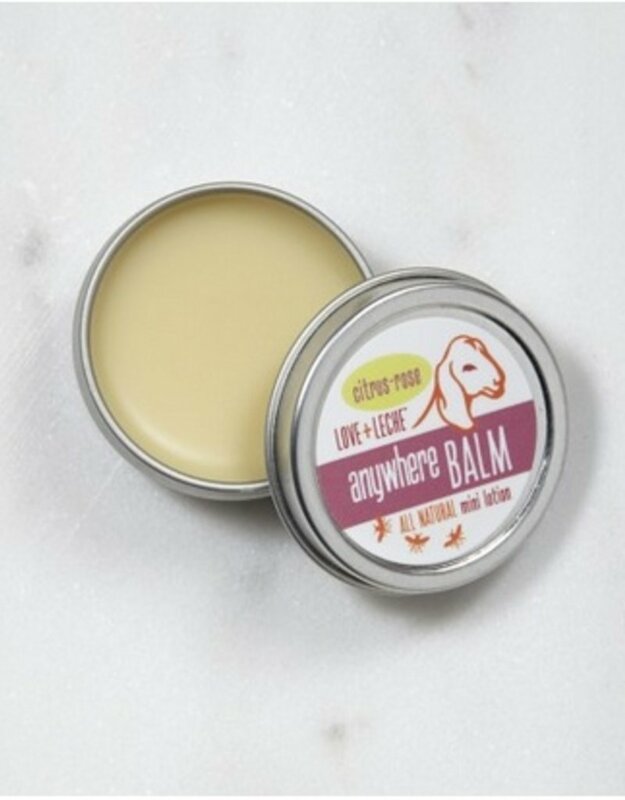 Take-it-Anywhere Balm. 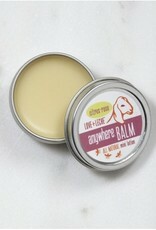 And just like our lotion bars, you can use it anywhere: lips, feet, cuticles, elbows, dry skin. Our Lotion Bar formula allows your skin to replenished and deeply moisturized. Our Anywhere Balms are hand-poured and weigh approximately .5 oz and come only in Lavender-Mint scent. Ingredients: Pure beeswax, coconut oil, almond oil infused with Certified Organic calendula flowers, essential oils of lavender and peppermint.